Great Yard Maintenance Serving Roswell! Are you spending every weekend maintaining your yard? Doing all that mowing, pruning, blowing, and edging on your own? Wouldn’t it be nice not to worry about it and just be able to enjoy a beautiful yard? 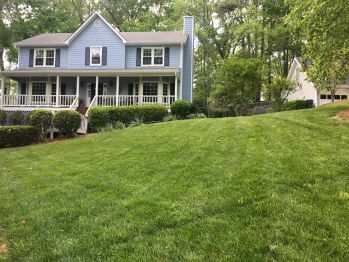 Let us handle all your lawn maintenance in Roswell. Let us come out and take care of all your yard maintenance needs for you! Don’t spend another weekend hacking away at the yard, instead relax knowing that with us the work is already done! With a professional team and exquisite attention to detail we’ll leave your lawn looking amazing after every job! We have well maintained equipment that we’ll service your Roswell lawn with monthly, bi-weekly, or even weekly lawn mowing in Roswell. With competitive rates, long time customers, and year-round service we’ll treat you and your property with respect! We’ve been a trusted partner serving Roswell for over ten years with our timely and reliable services. Don’t spend another day working hard in your Roswell lawn trying to get it to look nice when we can make the job so much easier on you! Call us today and let us get started on making your life easier with taking care of all your Roswell lawn maintenance needs! Step 1. Call us and let’s talk about what kind of service you are looking for, where you live, and how often you want us to come by. Step 2. 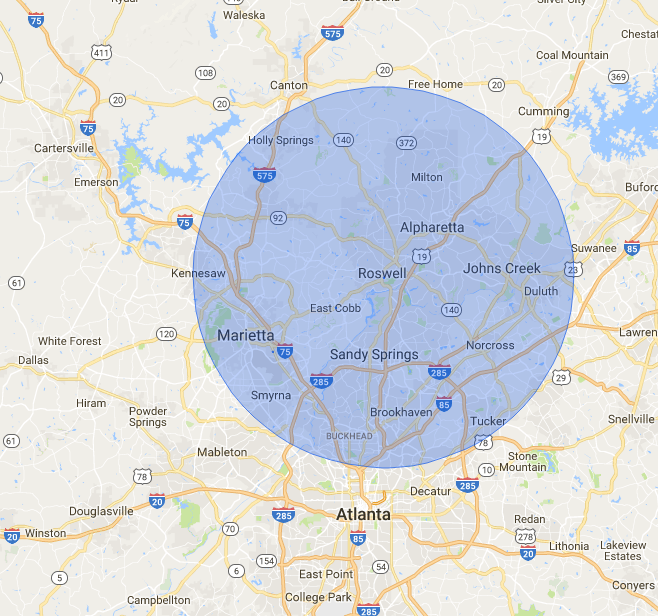 We’ll come out to your property, same day if possible, and will either call, text, or email you a quote based on your yard sized, terrain, and hills. Step 3. Sit back and relax as we handle all of it from here! We make having a great yard easy! Never think about having to mow, edge, prune, blow leaves, or haul around debri from your yard again as we’ll make sure it’s taken care of as often as you want and need it! Don’t wait, call us today and let us do the work! Serving these areas: 30009, 30022, 30075, 30076, 30077, 30350.